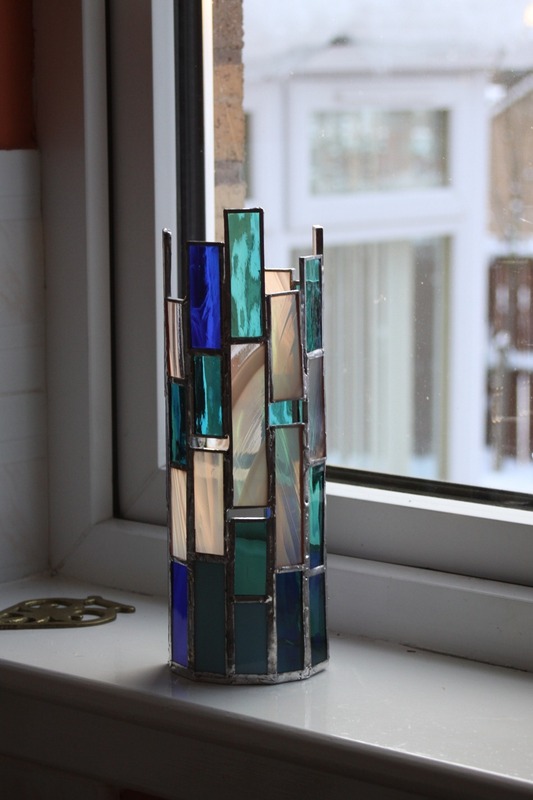 A second candle holder approx 25cm tall by 8cm diameter. 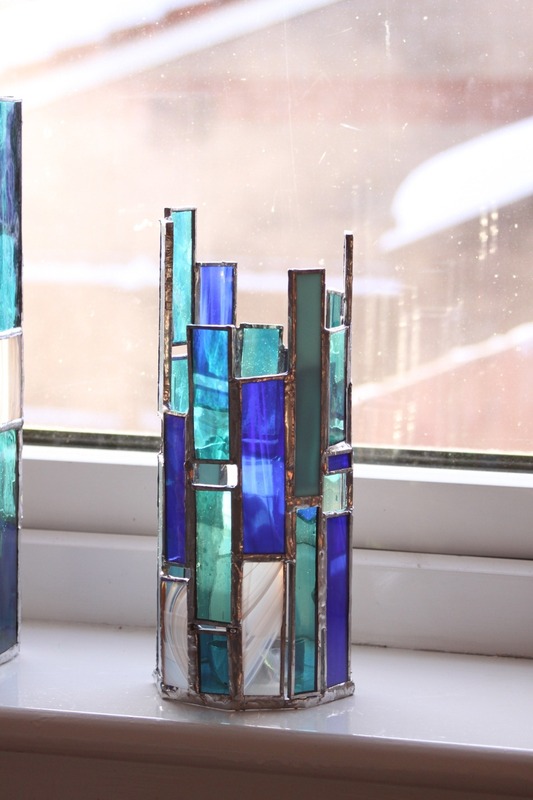 The colours are the same in these first items as these were the colours in the starter glass pack and local specialists have been closed during the festive period. 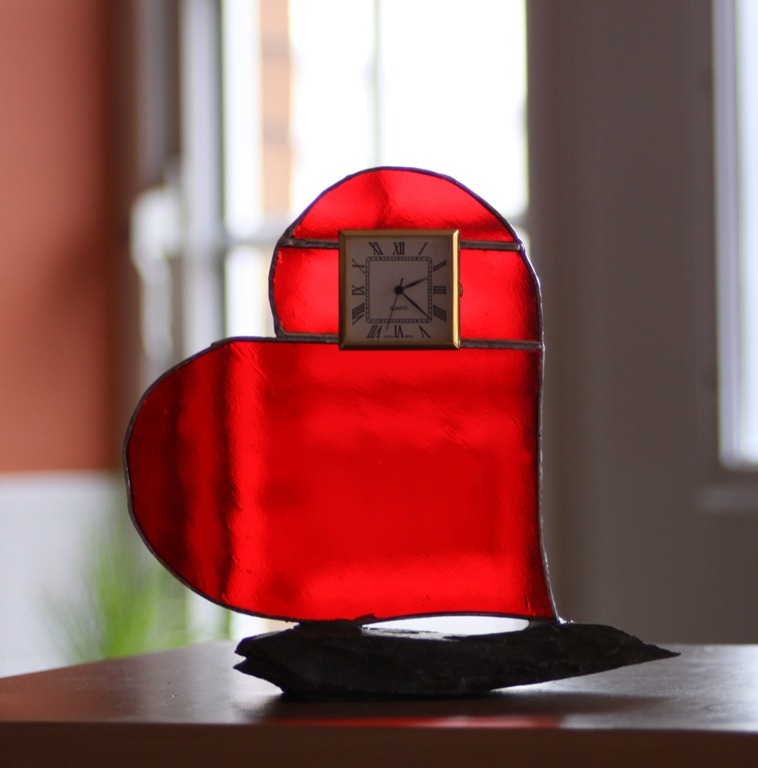 I’m getting the hang of the soldering and more confidence with glass cutting. 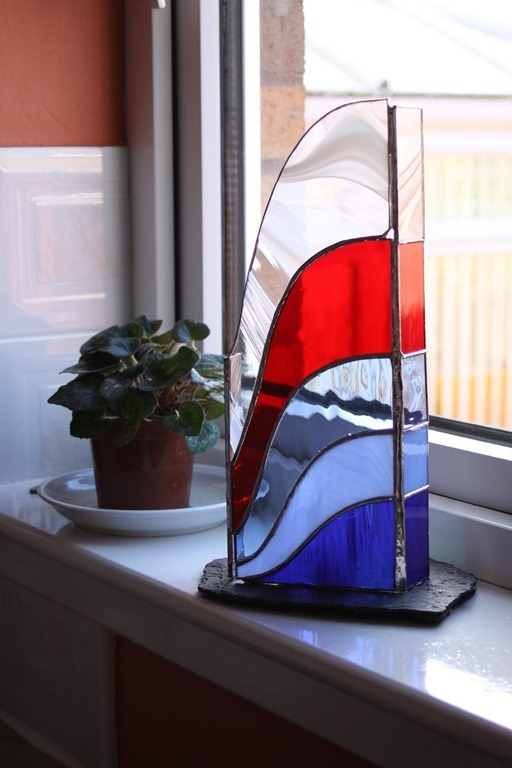 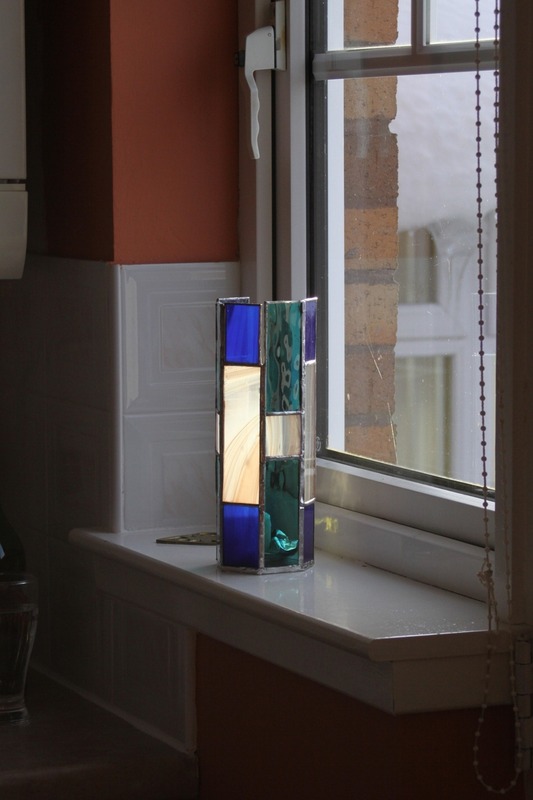 This is my stained glass practice item 1 – a candle holder approx 18cm tall by 8cm diameter.